State officials moved Wednesday to shut down two liquid natural gas pipelines — one still under construction — after it was determined that the construction work was causing sinkholes in West Whiteland. Use of the Mariner East I pipeline, in use since 1931, was halted Wednesday and construction on the Mariner East II pipeline was shutdown again by the state Public Utilities Commission, Wednesday, after concerns that the project was causing sinkholes in parts of Chester County. Both pipelines are expected to be sidelined 10 to 14 days. Critics of the Mariner II project are argued that Energy Transfer Partners LP (parent company of Sunoco Pipeline) – which owns and operates the pipeline — has not taken proper care to build the project safely, protect local properties and ground water. At least three sinkholes have been discovered — thought to be directly related to construction of Mariner II East — in the immediate area of Mariner East I. The PUC order requires testing of the old pipeline in the area of Lisa Drive in West Whiteland, plus detailed geological surveys of the path and area before the commission will allow the older pipeline to return to service. 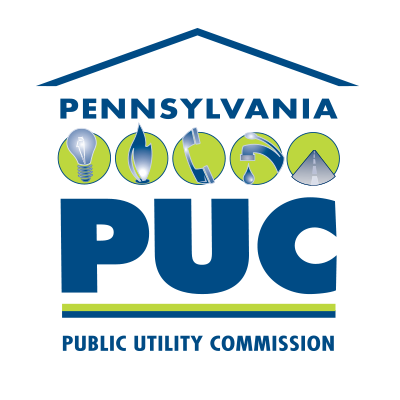 The PUC is expected to discuss the issue at its meeting next week. PUC Chair Gladys Brown, writing the emergency order, said she agreed that it would be too dangerous to continue allowing pressurized liquid natural gas in the older pipeline with the emergence of sinkholes in the area. Once again, local groups called on Gov. Tom Wolf to put a stop to construction of Mariner East II, citing poor state oversight and unsafe geological conditions on the planned route. Others said that the sinkholes are just the latest in what is a poorly planned project that would put the public at large in danger — and pushed Wolf to end the project. Dinniman said the order reconfirms what he and citizens have been saying about this project for two years. “It’s a crying shame that a thorough geologic assessment related to the risk of putting another pipeline in this area was not completed in the first place. Obviously, it should have been, “ Dinniman said. “Chairwoman Brown clearly wrote that without a clear analysis of the geology in this area, which is along a fault line, we could be at risk of a catastrophic event. We thank Chairwoman Brown and the PUC for doing this review and ordering the suspension. “At the end of the day, after all we’ve been through on this project, how can anyone trust Sunoco? I will continue to work with the citizens to remain vigilant. We certainly are prepared to review, scrutinize, and question anything Sunoco says related to the required tests and analysis of the site,” he added. Earlier this year, the state’s Department of Environmental Protection halted construction citing various violations of the construction permit. Work had resumed following a fine and corrective measures. The original pipeline is an eight-inch line, largely buried, that has been in operation since 1931. The new pipeline would be a 16-inch line, running largely along the same path — and has faced local opposition for a number of years. I had a business partner who was also a volunteer EMT. He listened to the local scanner in Northampton County. A call came from a policeman who was responding to a call from an elderly woman who said her basement was sinking. The cop said something about another radio brain wave call. She was OK but lost her home in a sinkhole.